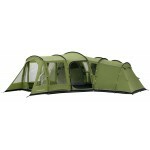 Vango Atlas is a highly versatile dome tent that has been greatly improved for the 2011 season. 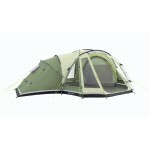 The Atlas has been lauded (Stan's been larded), particularly by motorcyclists and cyclists, for having a small pack size, ample storage space and a double entry system which allows you to choose which side of the tent to enter/exit. The Atlas 200 features an embossed textured Protex 3000 polyester fabric with taped seams and a hydrostatic head of 3000mm. 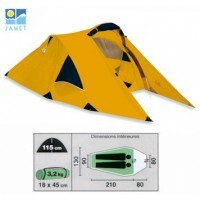 There's a 2-berth breathable 190T polyester inner with a 10,000mm HH polyethylene bathtub inner groundsheet and a front storage area. 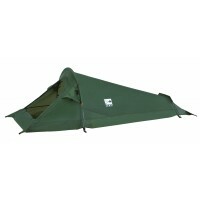 Within the flysheet are mesh air vents and the inner features a part mesh door for excellent air circulation. 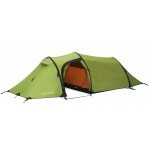 Other features include, Powerflex fibreglass poles, tension webbing, pegs, inner first pitching, zip entry handled carry bag. 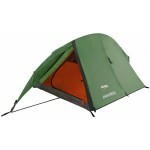 Vango Atlas 200 Dome Tent - 2011 Model.